Yamanto Family Practice are committed and caring GPs and are happy to see patients of all ages. We share a strong interest in health promotion, disease prevention and the diligent care of those with chronic conditions. We have a team of highly trained and experienced staff members committed to ensuring that you receive the best medical care possible. 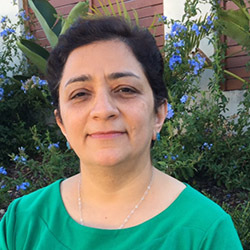 Dr Mahani graduated from IRAN university of medicine in 1999. She has been working in her home country as GP up to 2008 when she migrated to Australia and made it her new home. Feri has been working in Yamanto since 2008 and has been committed to care for patients in all ages, some of them now have become her personal friends. She lives in Springfield with her husband and 2 daughters and her German Shepherd dog, Maya. In her free time she enjoys cooking and baking, travelling and spending time with her family and friends. Dr Khammar brings to the practice special expertise in the treatment of skin cancer. 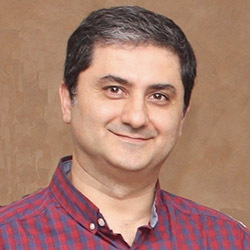 A husband and father of two boys, Yousef has been working as General Practitioner in Australia since 2006 and in his home country, Iran, from 1996 to 2006. While enjoying providing full range of general practice services, Yousef has also completed courses and worked in skin cancer medicine and surgery as special interest. Apart from family affairs, when he can make a “me time”, Yousef enjoys reading (mostly on nature,life and human being), music (especially blues and old school rock) and jogging to keep as fit as possible.